How does the word Android Oreo justify the term with its features? The Android’s updated OS was initially announced during Google’s annual I/O 2017 developer conference in May. It was named as Android O. Apple responded with iOS 11, its next-gen platform for iPhones and iPads. 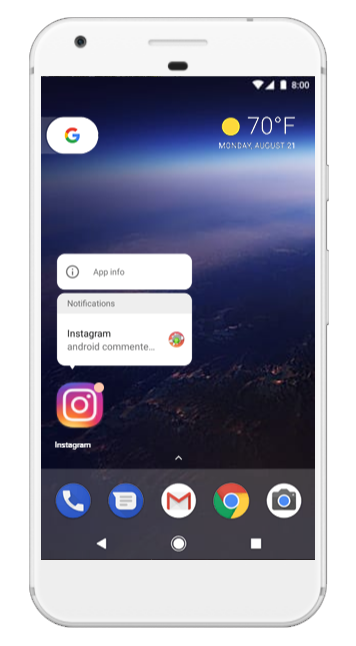 Since then there is a kind of excitement amongst the smartphone users to check out the features of Android O and iOS 11. When Google Android team last visited our office, TechAhead, our Android team, shared their challenges faced with the current Android OS. TechAhead is one of Google’s preferred Android App Development Partners; therefore, Google desired to hear the team’s current hurdles and future expectations with Android. The frequent BETA testing and feedback sessions have now successfully led to the launch of Android O.
Android O, the Android Oreo is now out! Android Oreo is more than twice as fast as Android Nougat. The boot time dropped from 35 to 13 seconds on the Pixel, and apps like Google sheet apps will run a lot faster. The faster Android has been created in a way to process complex tasks. What do you do when you are watching a video on youtube, and suddenly you receive an important text? Commonly, you’d have to exit out of the youtube and open the chat messenger to reply. But In Android Oreo, you’ll just have to press the home button, and the video will shrink into a free movable window. The video keeps playing within a shorter screen while you can type your reply or do anything else on the phone. This feature is known as picture-in-picture. The picture-in-picture feature works with only one screen, i.e., for opening the third app, you need to go to the home screen. It cannot adjust three apps on one screen. Although with the settings option you will be able to adjust the size of the shrunk screen. You can also opt it out if you don’t like it. We either have to remember the numbers and texts, or we simply use the copy and paste on mobile because there’s no other alternative. Despite the comfort of copy pasting feature; picking a phone number, email address or expression doesn’t always work correctly, and we have to spend most of our time tossing with the selection bars in the right place. Now with Android Oreo, you will just have to long press or double-tap anywhere on a phone number, address, or name and it will select perfectly for you. In extension, when you highlight a phrase or digits you will not only get a cut, copy and paste option; the system will advise opening the dialer if you tap a number, Email ID will suggest opening Gmail and a street address will recommend Maps. If you put your mind back to Google I/O 2017, you might remember Google demoing notification dots. The current notification system on Android gives an alert in a pull-down notification shade at the top of the screen. However, with Android Oreo, you’ll see a dot appear next to an app icon that will tell you that you have an unread item. The best part is you can hold the app icon to expand the message and take a glance at the content inside. This is something you are familiar with, right? Yes, both the notification badges and looking at the notification in a small window are features from Apple iOS. Although, the android users will now enjoy these two features on Android. Interestingly, the color of the dot matches the app icon making it evident. Notifications at the top notification shade are synced with the dot, so tapping one will clear the other. A long-press on an app with a notification dot will open a menu of the missed notifications. 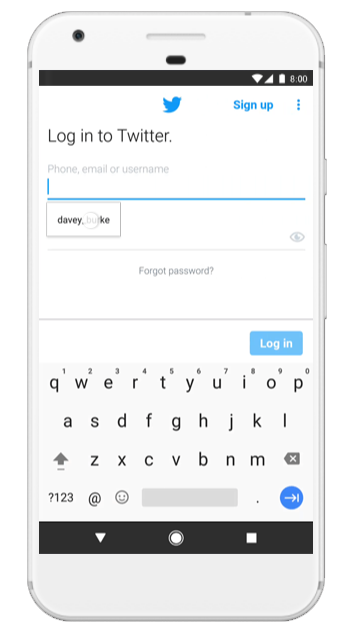 While using the chrome browser on the phone, you have to type in your name and password over and over again which is annoying, isn’t it? So, wow! Google has the auto fill option on chrome on mobile as well. Android Oreo’s autofill feature is not only for Google accounts but It will also remember your facebook, twitter, Pinterest, LinkedIn and simply all your passwords. The more we rely upon our phones, the more its security becomes critical. Google Play Protect is a new service by Google that will scan your apps for any threats, and regularly check for the latest risks, which will be found and detected via machine learning. Google gives us rounder emojis. In fact, many emojis that illustrate different objects have also been tweaked, so there are numerous choices to explore the perfect expression. Google promises more than 60 new emojis in Android Oreo. Android Instant Apps will let you use an app without downloading it to your device. This exciting feature is available in android oreo. 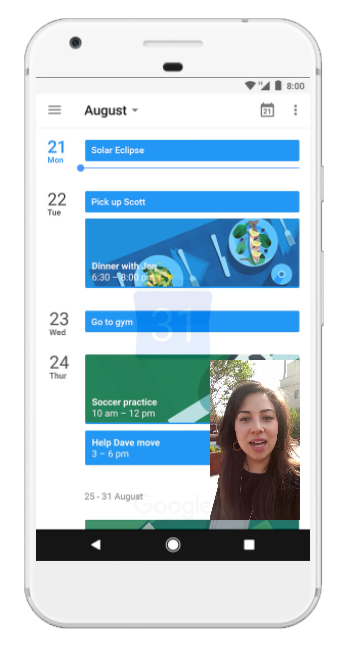 Google provides a cloud-based version of the app, so you don’t have to download it from the play store now. Instant Apps will give you full access to an apps interface, performance. Google rolled out full support for Instant Apps in February of 2017, and claims over 500 million devices have access to it. The problem though, is you need to enable it in settings first. That said, it’s enabled by default on Android 8.0 Oreo. On 21st August 2017 Android 8.0 was officially launched as android oreo. The Oreo update was rolling out to people who had already installed the beta version of Android O. Oreo also reached Pixel users who were until now using the Android Nougat. However, this rollout is in waves so users may get it early while some may have to wait for a few days. The Android O will be available for Nexus 5X, Nexus 6P, Nexus Player, Google Pixel C, Google Pixel and the Google Pixel XL. Google also announced that all the devices enrolled in the beta program will automatically get the Android Oreo update. So, yes, there is another wave of sweetness spread by Google, let’s make use of these specialties by Google. How Can the Android Oreo (Go Edition) Lead the Indian Market?